A classic and elegant accessory that is installed at the top of a door and at the corners of a window, between casing legs and headers, that accentuates the focal point of a room. Even the most novice do-it-yourselfer can apply these architecturally pleasing accessories to evoke a classic contemporary look with a harkening back to the heritage and colonial styles of old. These economical additions are simple to install without the necessity of miter cuts. Alexandria Moulding Finger Jointed Pine Outside Corner 1 In. x 1 In. x 8 Ft.
Alexandria Moulding Oak Cove 11/16 In. x 11/16 In. 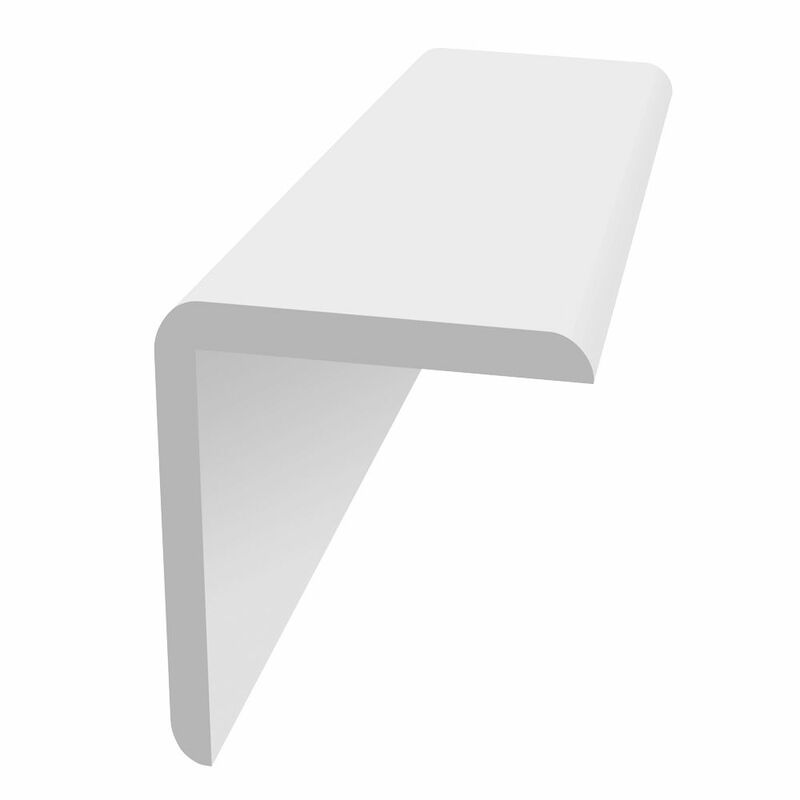 x 8 Ft.
Outsidecorner White1-1/8 Inchx1-1/8 Inchx12 Feet A lasting solution for windows, doors and trim. Royal Mouldings Exterior products are low maintenance and provide a beautiful, durable option to wood. Made of 100%Cellular PVC with a solid outer skin and a strong durable core. Royal exterior mouldings come with a factory applied Readi Finish. One of the strongest features of Cellular PVC is energy efficiency. The material insulates 70% better than wood and 1600% better than aluminum. Outsidecorner White1-1/8 Inchx1-1/8 Inchx12 Feet is rated 4.5 out of 5 by 16. Rated 5 out of 5 by Doug from This is an excellent product for protecting the corners of plastered walls that have a tendency t... This is an excellent product for protecting the corners of plastered walls that have a tendency to get hit and the plaster chips off the metal lath was installed before the plastering was done. After 30 plus years of hitting the corners with things this product provides a great cover-up and leaves a nice look. I have installed several of this product over the past several years. Perfect product for the application. Rated 5 out of 5 by Dale from Cuts easily and is flexible, yet durable. Used in a bathroom. Cuts easily and is flexible, yet durable. Used in a bathroom. Rated 5 out of 5 by David from The vinyl corner moulding attached well and looks great. The vinyl corner moulding attached well and looks great. Rated 5 out of 5 by Alizer from This moulding would make any room more beautiful, highly recommend... This moulding would make any room more beautiful, highly recommend for a remodeler.